Oil and gas recruiter Raeburn Group has received a £2.5million funding line as it expands into healthcare. The Aberdeen firm, which traditionally supplies staff to the energy sector, had an opportunity to provide healthcare staff with a local contract to the NHS. 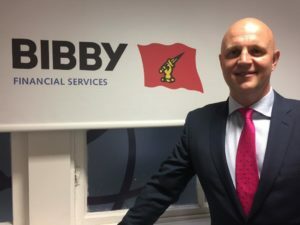 Raeburn needed funding to offset the gap between staff and debtor payment so it secured a £2.5million loan from Bibby Financial Services (BFS). It comes as the group continues to expand into the sector, with care work and occupational therapy. The business is currently working with councils such as Aberdeen City, Aberdeenshire and Perth & Kinross. Managing director of Raeburn Group, Steve Rowbottom, said: “We’re determined to build on our success and continue to grow our market share. “In BFS, we have found a funding partner who will help us to turn our ambitious growth plans into reality. Ronnie Stokes, corporate manager at BFS, said: “Raeburn Group is an excellent example of how our funding can unlock opportunities for strategic growth whilst strengthening cashflow via tailored working capital solutions.